LOS ANGELES – On Sunday, February 10, 2019, Dave Reitzas accepted his 7th Grammy at the 61st Annual Grammy Awards Show. Dave won in the Best Regional Mexican Music Album category for his work with Luis Miguel, and was also nominated in the Best Traditional Pop Vocal Album category for his work with Barbara Streisand. Dave had previously won Grammys on projects with Natalie Cole, Madonna, and Luis Miguel. A prominent local attorney was recently appointed to an esteemed position within the Westchester Women’s Bar Association (WWBA). Patricia Rusch Bellucci now serves as the Chair of the Tax Committee for the WWBA. Bellucci is the President of Rusch Associates, a tax services firm located in Pawling, as well as the owner of the Law Office of Patricia Rusch Bellucci, PLLC. Bellucci also serves as Special Counsel for the Law Office of Berlandi, Nussbaum, and Reitzas, LLP. Berlandi Nussbaum & Reitzas LLP (“BNR”) congratulates its client, United States Traffic Network (“USTN”) on its new partnership with Entercom Communications Corp. (NYSE: ETM), one of the country’s two largest radio broadcasters. Berlandi Nussbaum & Reitzas LLP (“BNR”) congratulates its client, Green Hub Development Corp. II, LLC (“Green Hub”) on its recent purchase of the Howland Hughes Building in downtown Waterbury, CT. The Howland Hughes Building, a five-story building located at 114-138 Bank Street, was originally constructed around 1903 and served as Waterbury’s first true department store. It is with a very heavy heart that we inform friends and colleagues of the passing of one of our founding partners – Jay Nussbaum. 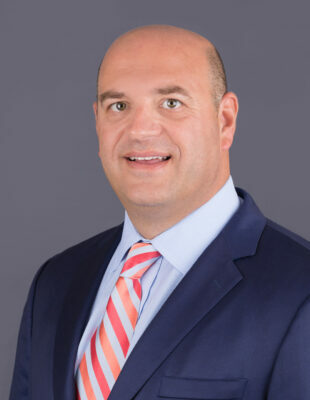 Jay helped found Berlandi Nussbaum & Reitzas LLP (“BNR”) in 2011 with his friends, Brian L. Berlandi and Joshua T. Reitzas, and in these short 7 years, was an instrumental part of growing the firm to over a dozen attorneys, three offices and named as a Superlawyers law firm. Marquis Who’s Who, the world’s premier publisher of biographical profiles, is proud to present attorney Joshua T. Reitzas with the Albert Nelson Marquis Lifetime Achievement Award. Mr. Reitzas is an accomplished attorney who has achieved enormous success in his areas of specialization. Berlandi Nussbaum & Reitzas LLP congratulates its client – EasyBraid Co. on their asset sale to Desco Industries, Inc.
Congratulations to Brian L. Berlandi for his selection as a 2017 Upstate New York Super Lawyer! Brian L. Berlandi has been selected as an Upstate New York Super Lawyer for 2017 in the areas of Business & Corporate Law, an honor reserved for those lawyers who exhibit excellence in practice. Only 5% of attorneys in Upstate New York receive this distinction. Brian will be featured in Upstate New York Super Lawyers Magazine, in September 2017.